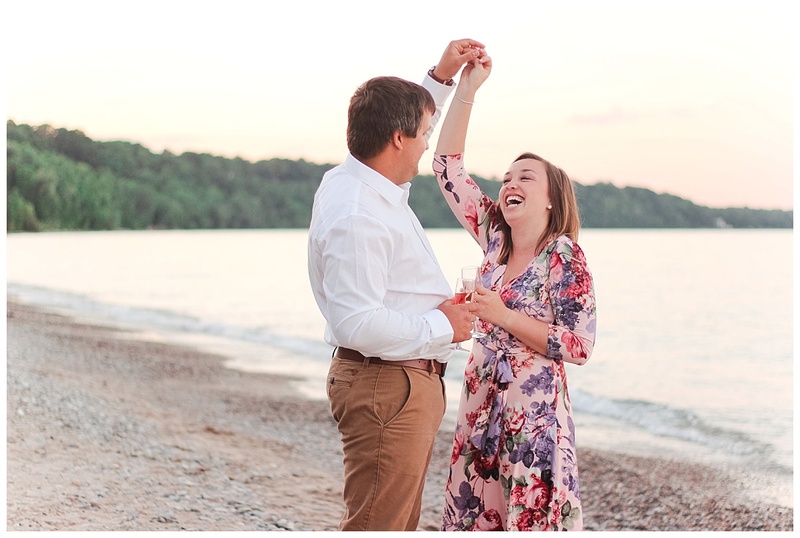 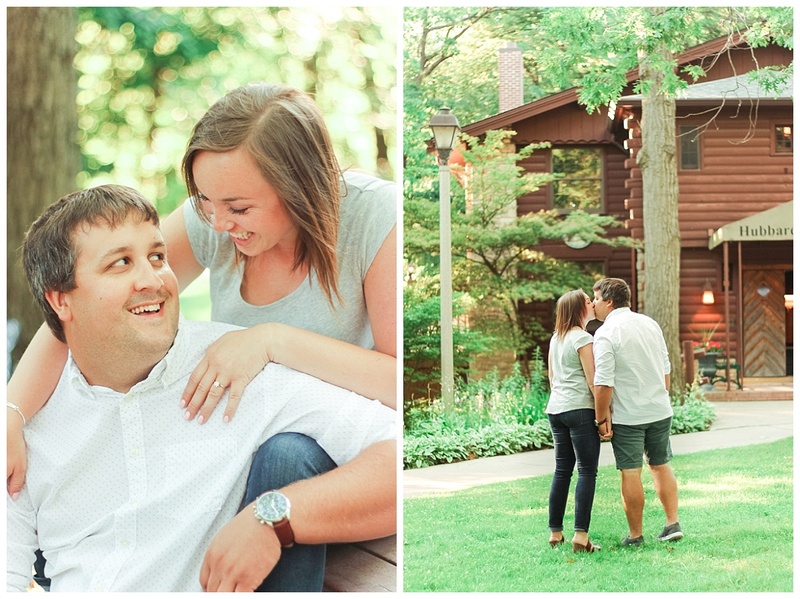 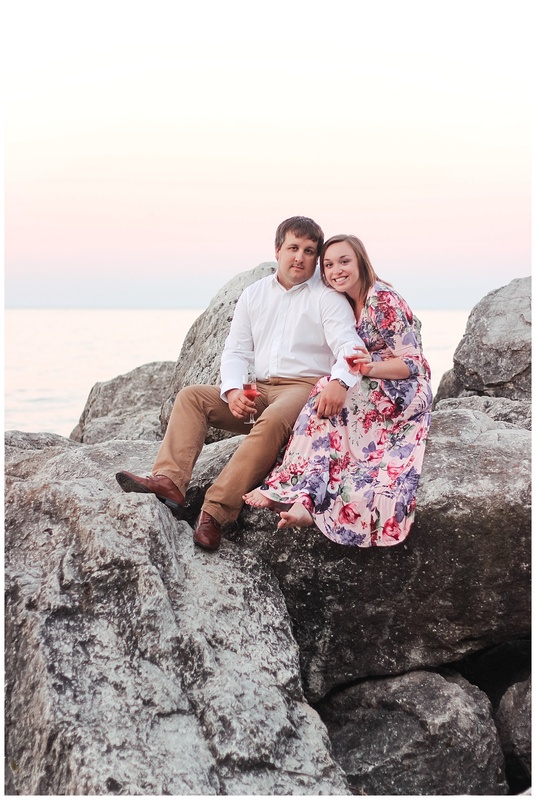 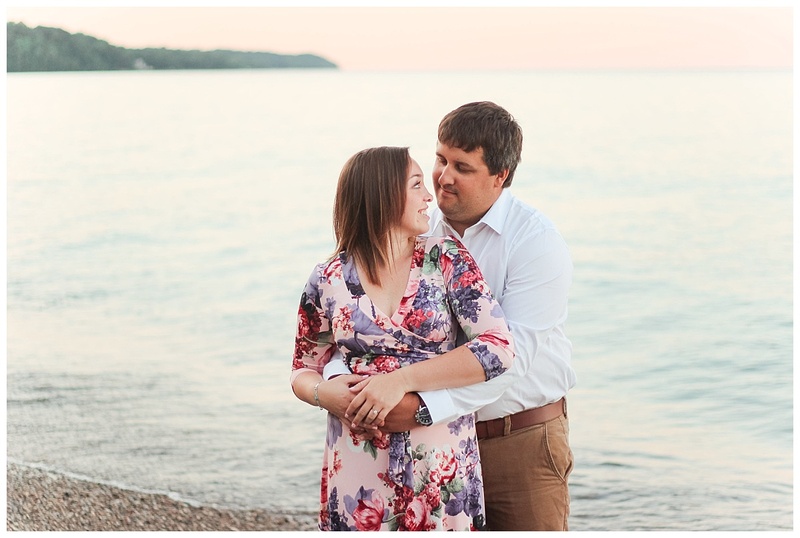 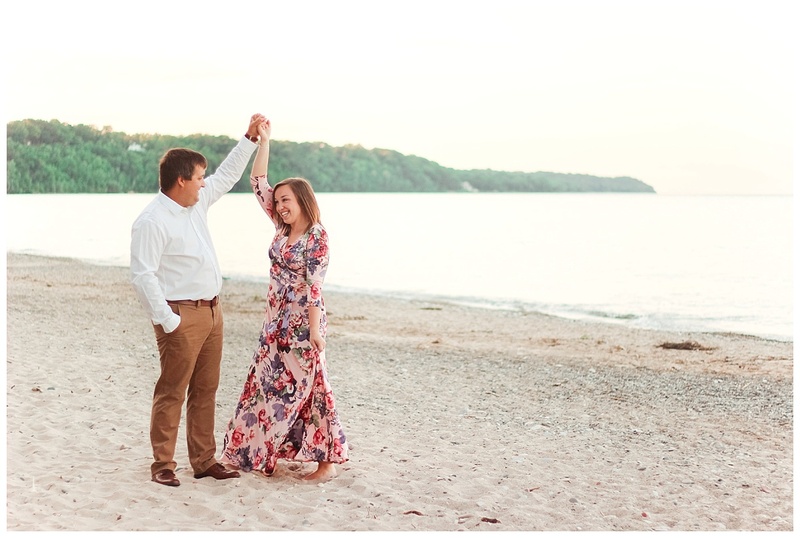 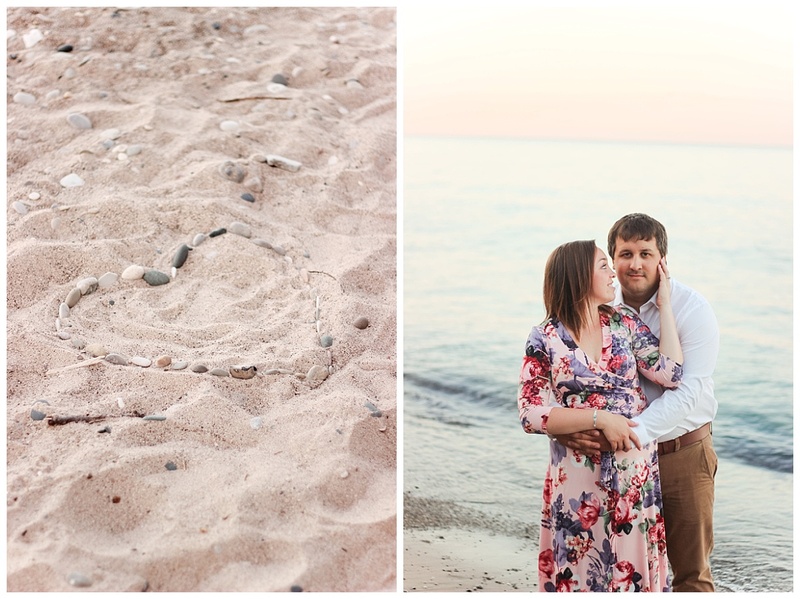 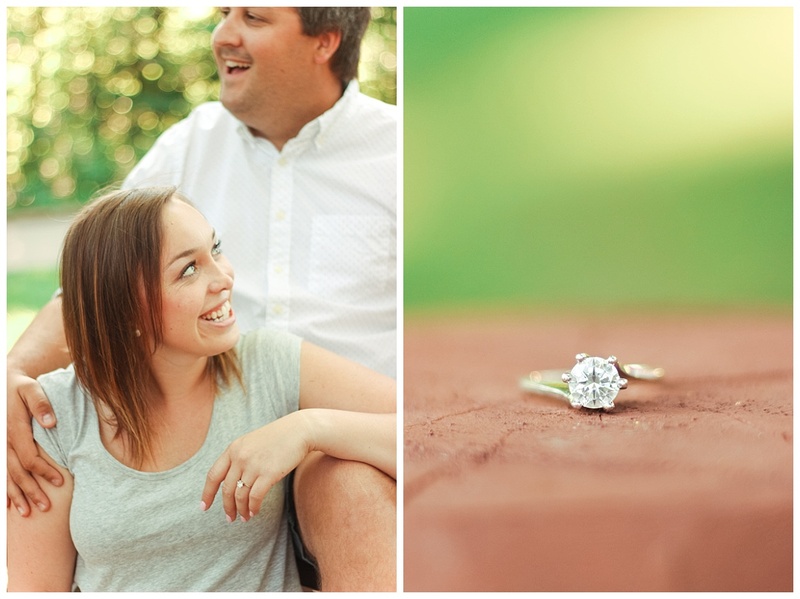 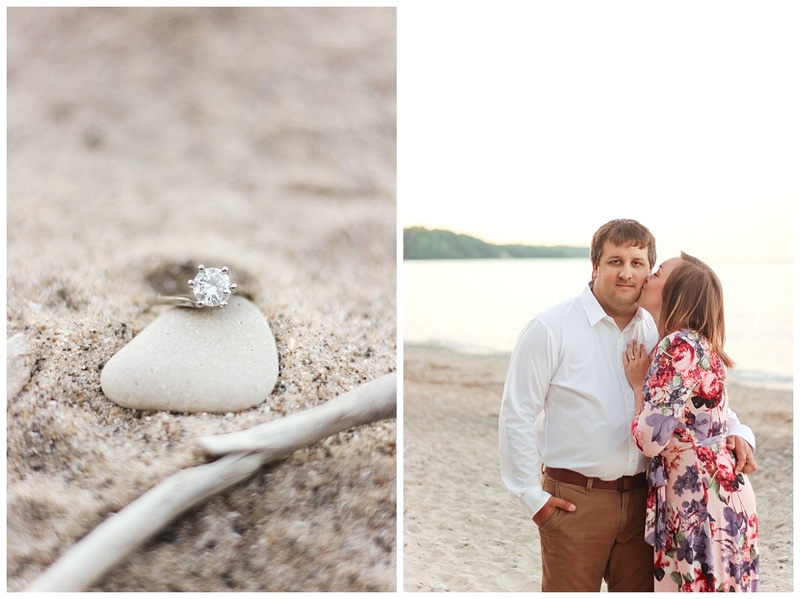 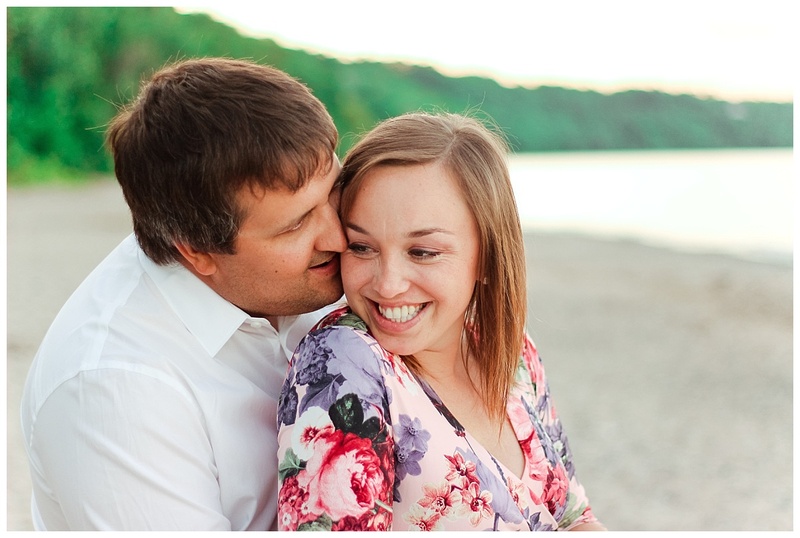 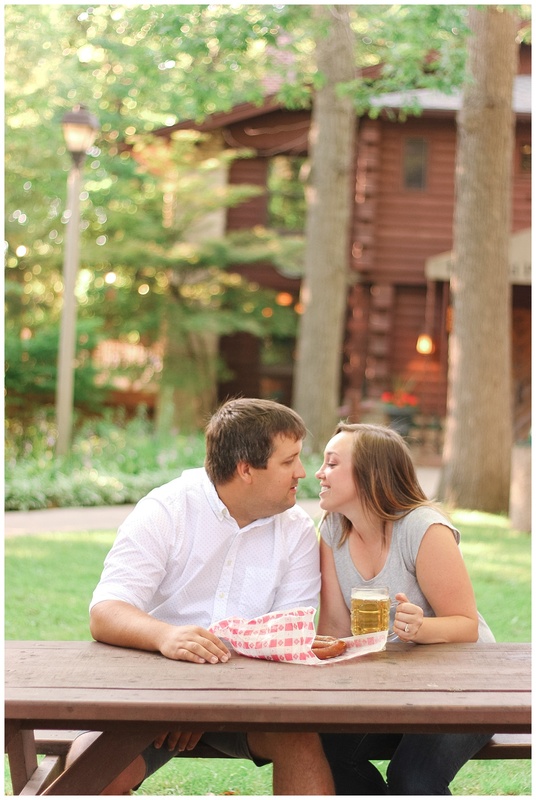 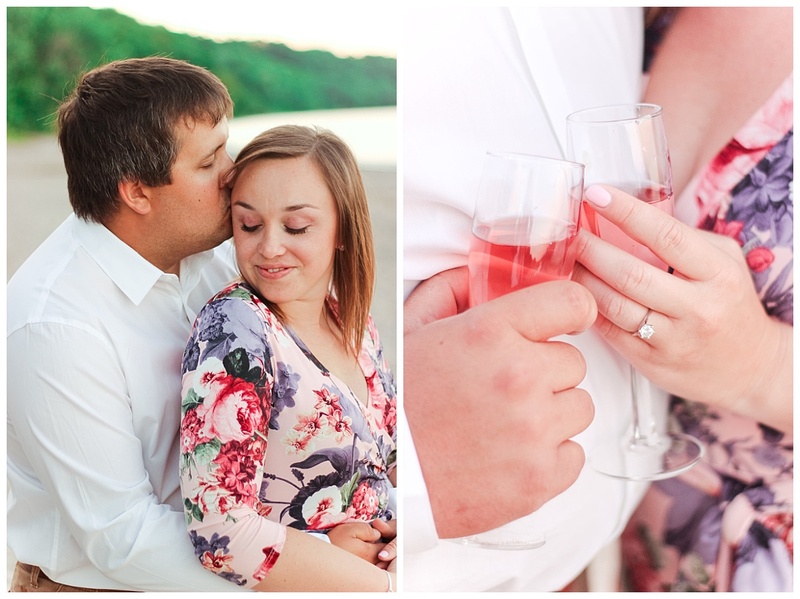 Melanie and Brad’s engagement session is a perfect mix of what I love about Wisconsin summers – brews, beaches and bubbly! 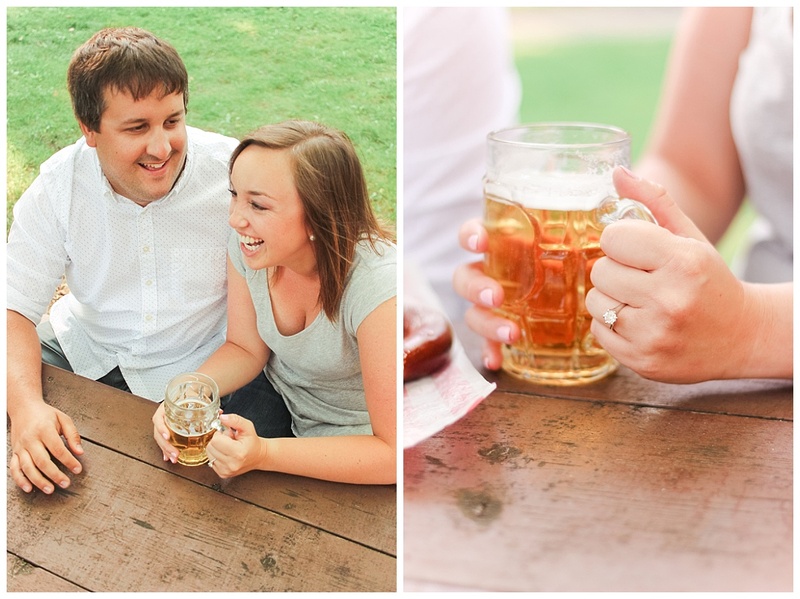 So when Melanie said she had her heart set on a beer garden and a beachfront location to reflect their destination wedding, I was ALL for it. 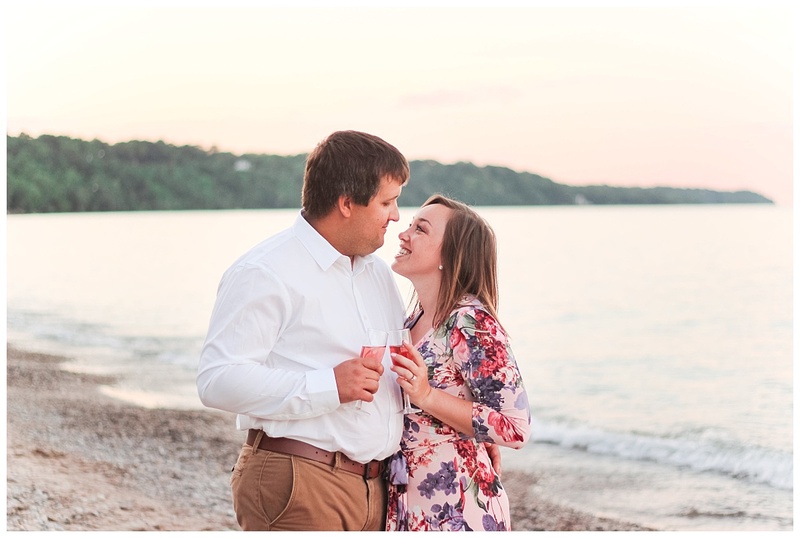 I couldn’t have asked for a more perfect night for a summer engagement session than last Saturday! 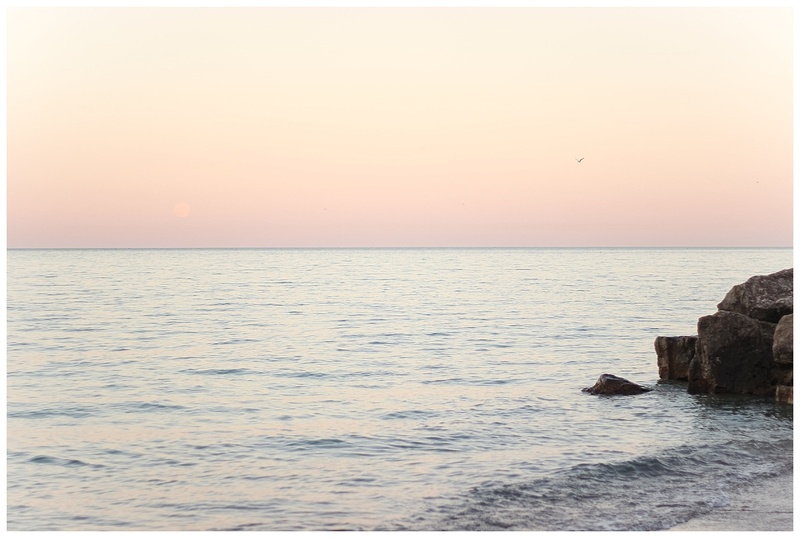 After a few days of back to back storms, we got so lucky with the most beautiful soft pink sunset at Klode Park Beach in Whitefish Bay. 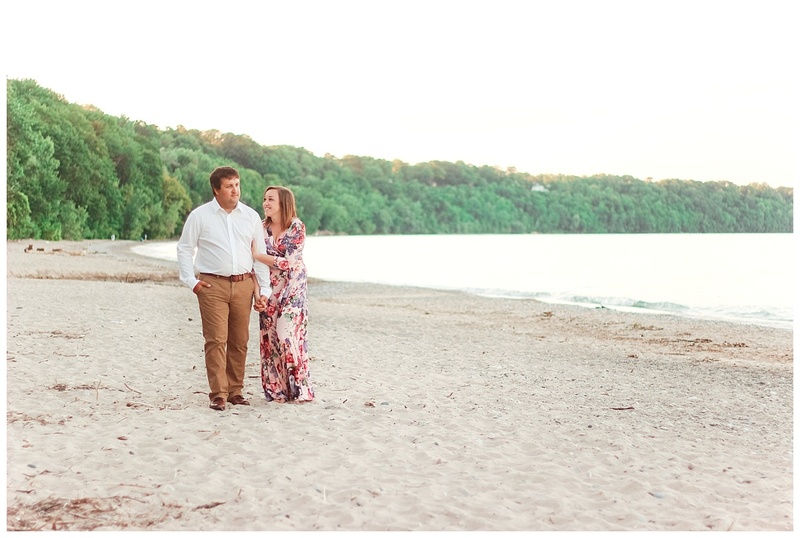 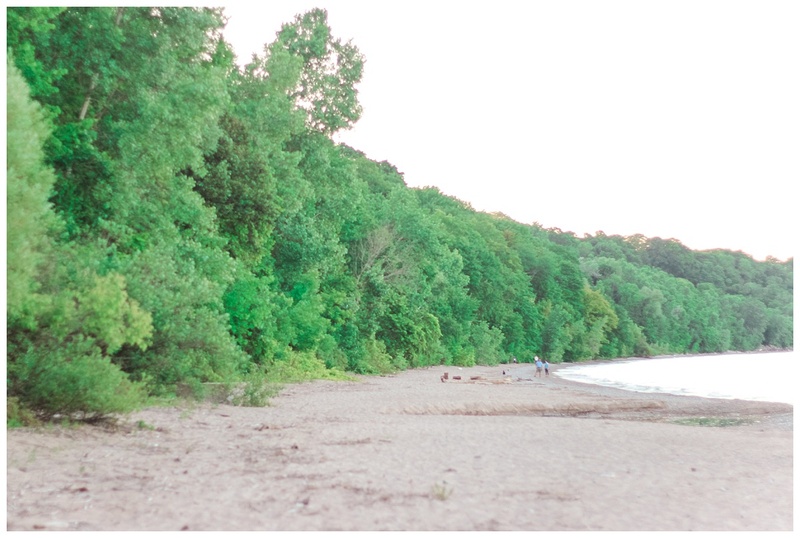 After the beer garden, we headed over to Klode Park Beach in Whitefish Bay just in time for the sunset. 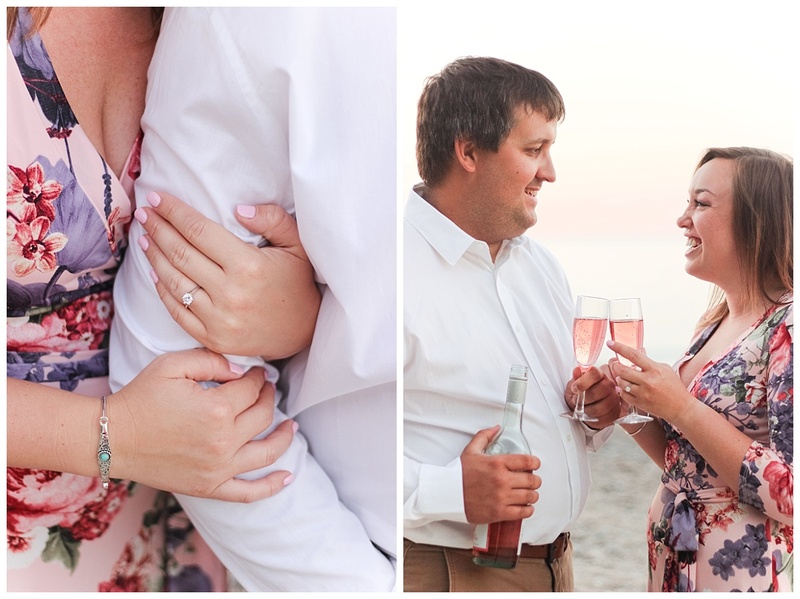 I am obsessed with flowy, blush dresses, and Melanie’s gorgeous wrap dress stole the show! 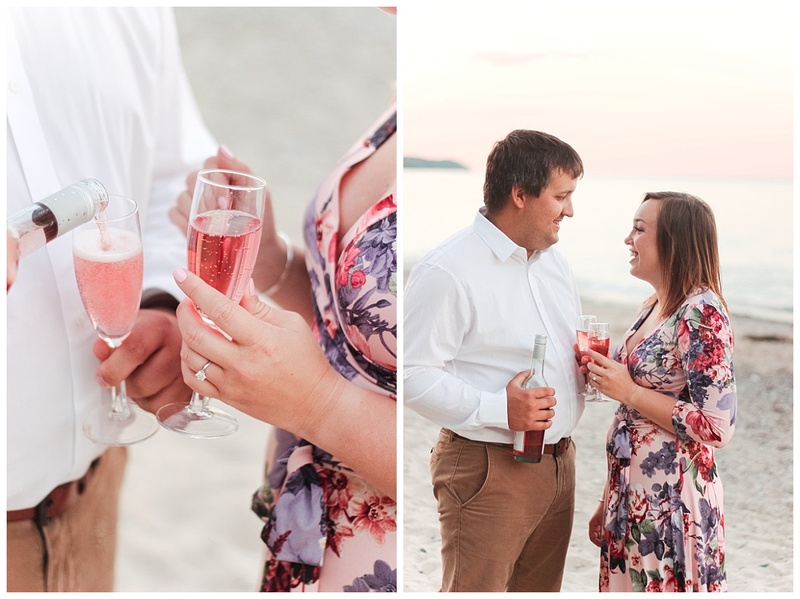 Between the sun, sand and champagne, it was a gorgeous evening. 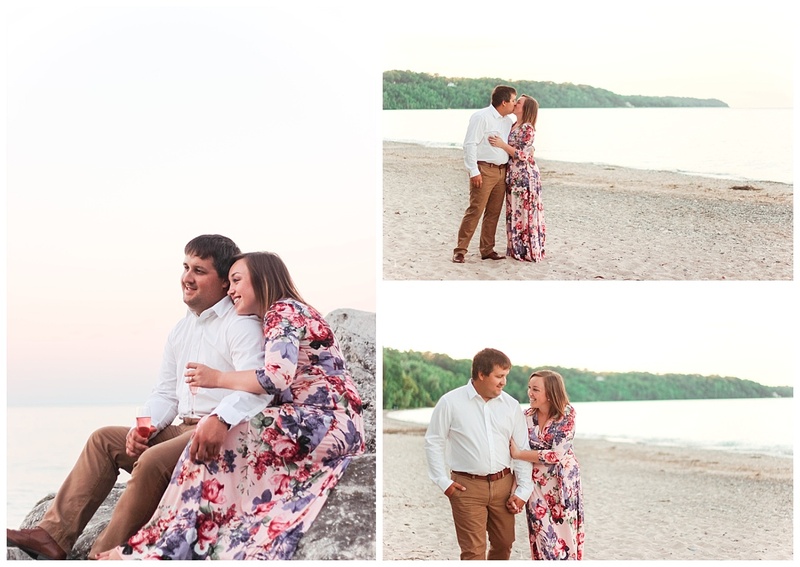 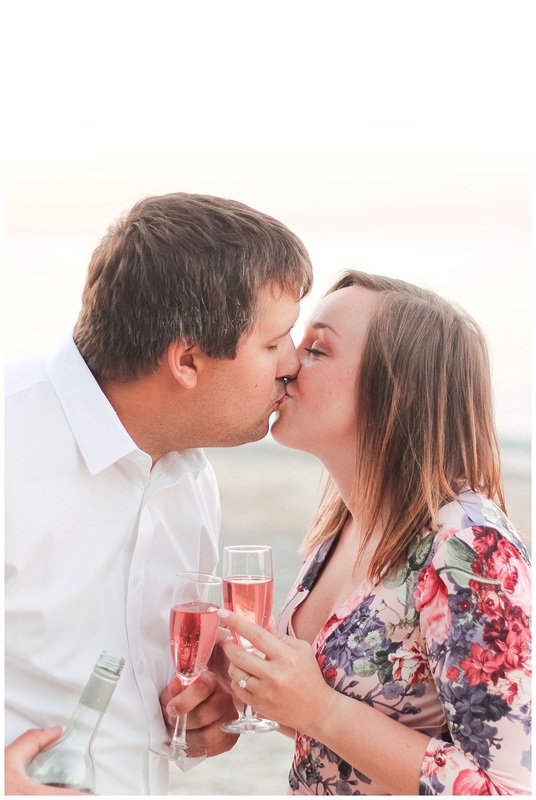 Melanie and Brad wrapped up their session with a toast while watching the waves crash. 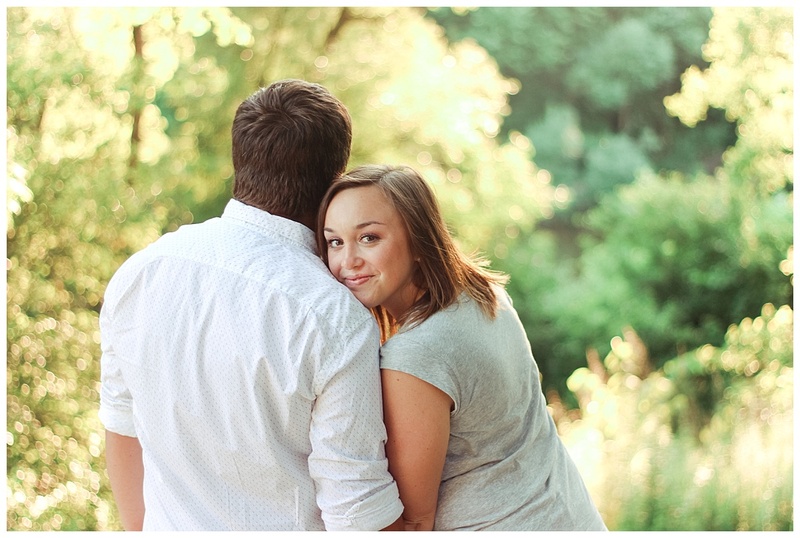 So dreamy, right? 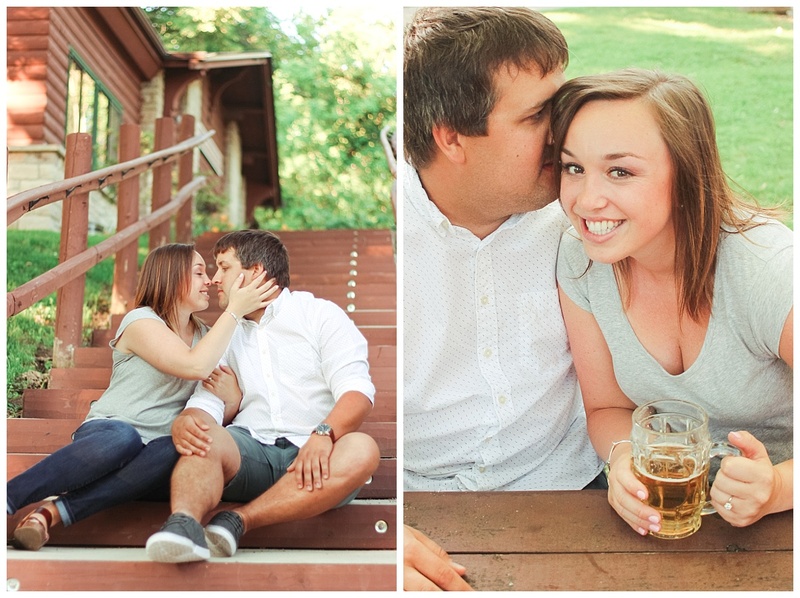 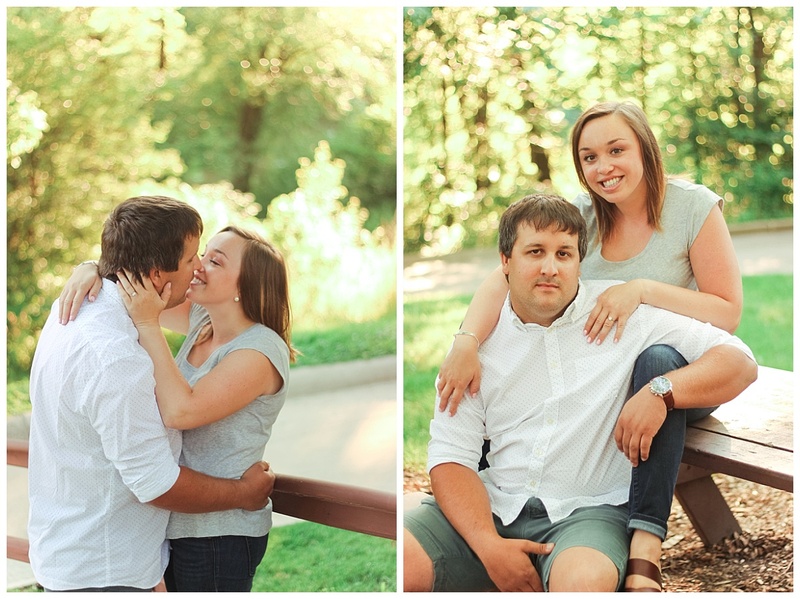 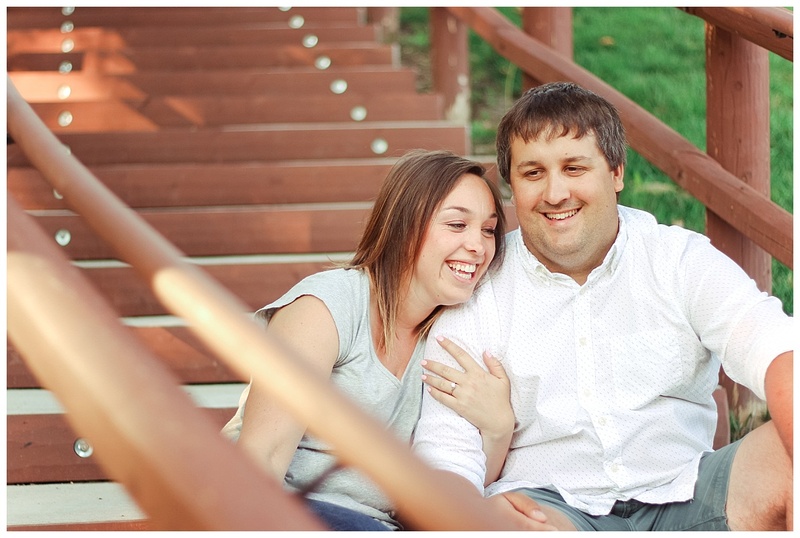 When it comes to couples, Melanie and Brad are about as fun, sweet and loving as they come! 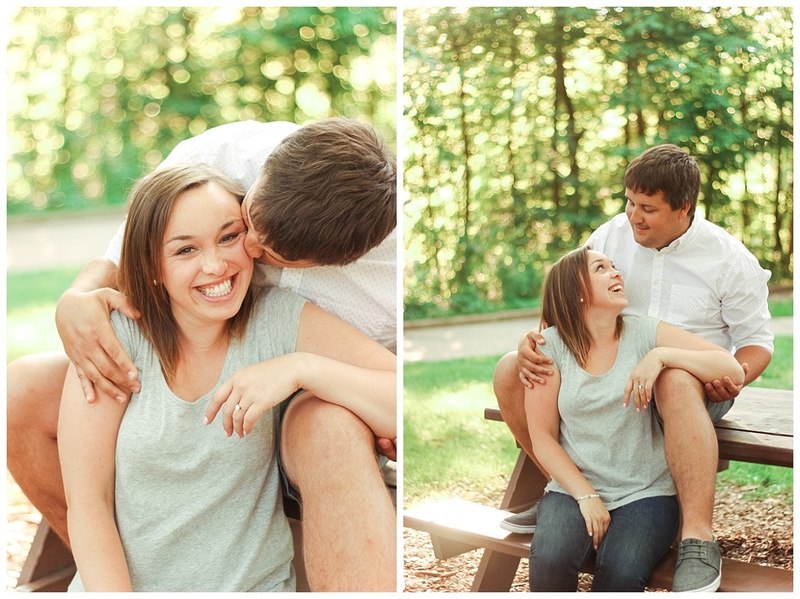 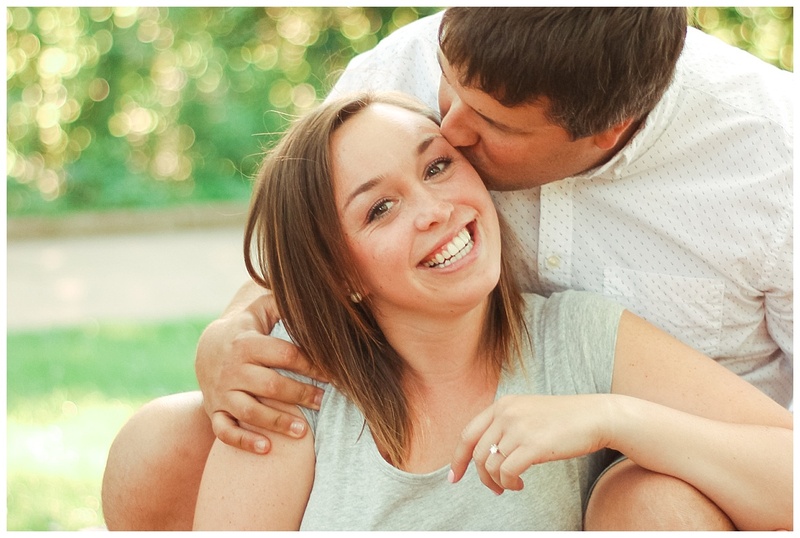 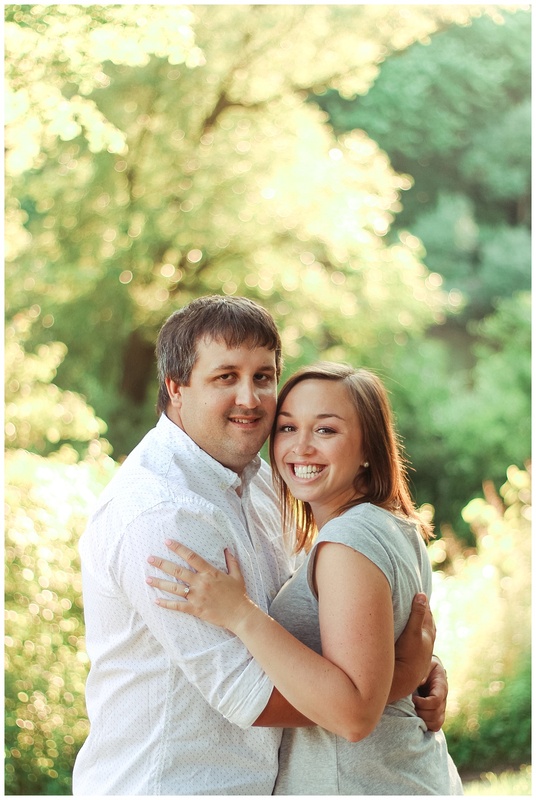 I am so looking forward to their wedding next March…in Costa Rica!! 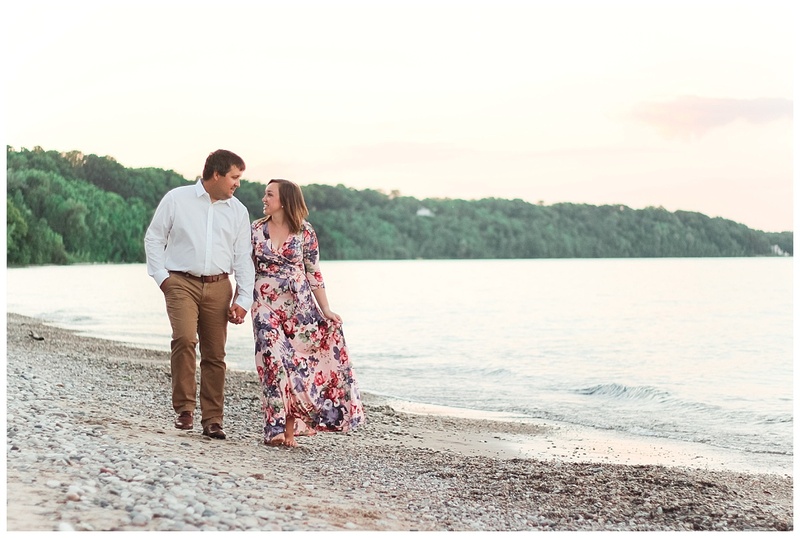 I mean, if these two make a Wisconsin beach look this romantic, I can’t wait to see what lies in store for their wedding pictures! 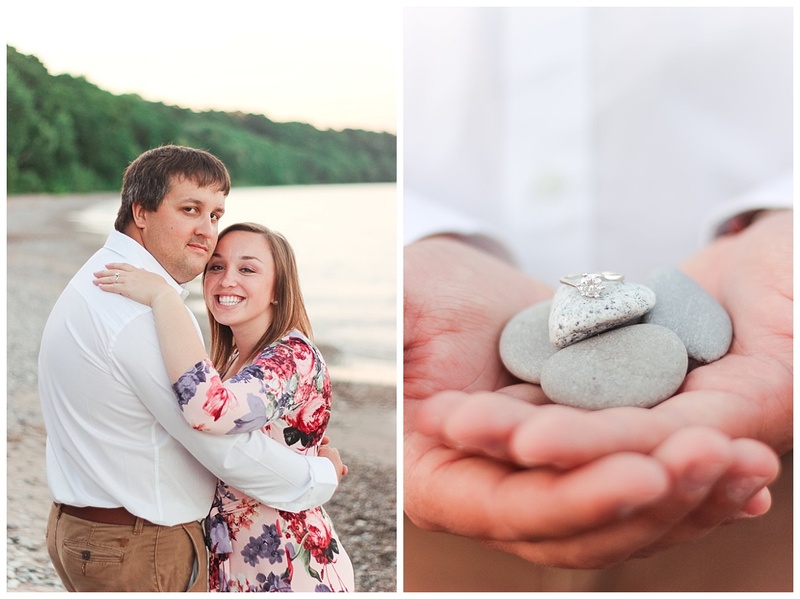 Something tells me it’s going to be incredible! 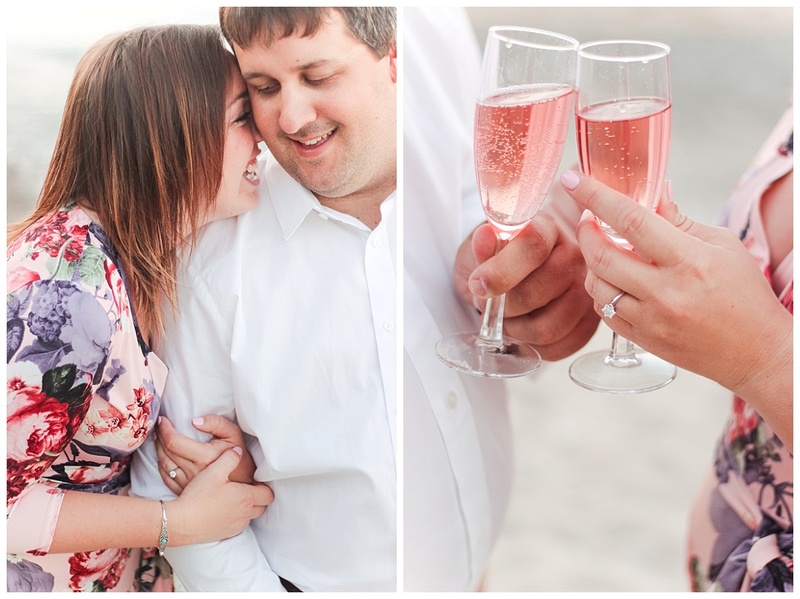 These pictures are so romantic and dreamy… I love them!